A new perspective in one of the world's fastest-growing region. It is time to grow in LatAm. Access more than 100 payment methods with one integration. Reach a huge part of the population by offering this chargeback-free alternative payment method. See your approval rates increase drastically with local acquiring. Secure payment options for a faster checkout experience, and an increase of conversions. Ready to sell in Latin America? Comprou usando EBANX e ficou com dúvidas sobre pagamentos, reembolsos ou status da compra? Acesse o site de negócios em Português e saiba como aceitar pagamentos através do EBANX. 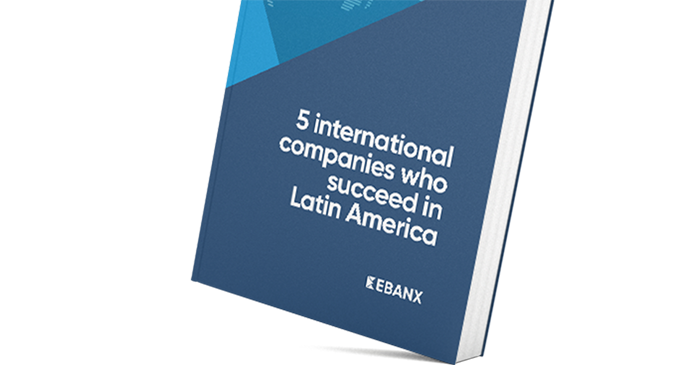 What is behind of 5 successful international companies that use EBANX in Latin America? EBANX is a global fintech company with Latin American DNA. Founded in 2012, it offers end-to-end payment solutions across the entire cross-border ecommerce transaction flow, providing over 100 Latin American local payment options to global merchants eager to expand throughout the region. EBANX already helped over 500 merchants expand to Latin America and over 40 million Latin Americans to access global services and products.